The retail landscape is constantly shifting, but the recent evolution (due largely in part to market saturation and the internet) has felt rather cataclysmic. Especially for independent boutiques. 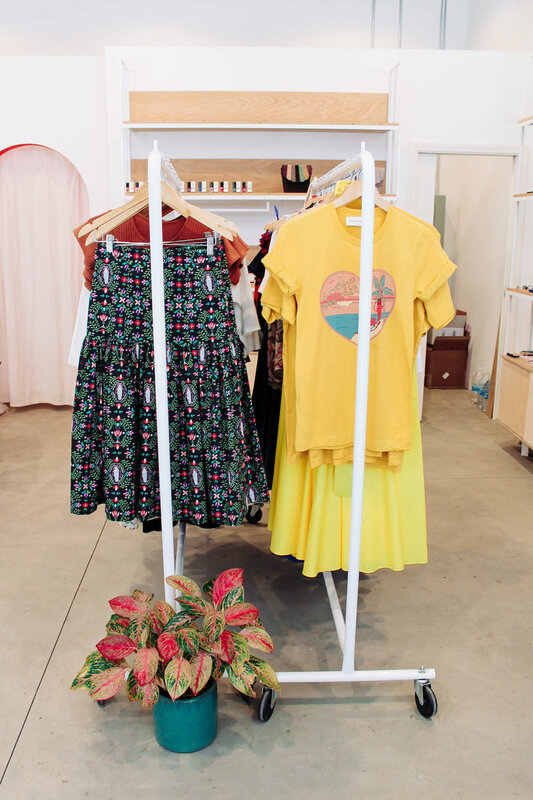 We sat down with Whitney Bickers, owner of Myrtle, and Erinn Berkson, owner of Burro, to discuss the development of retail in Los Angeles, what brought them both to the industry, and neighborhood pride. Between drive by phone calls and plumbing emergencies, we learned what it's really like to run a small business in today's extraordinary and sometimes fickle LA market. Myrtle is a bundle of energy and fun packaged as a store. Sitting nearby Poketo, LCD, and other veteran shops along a section of The Row (Downtown LA's answer to a business center), Myrtle fits in comfortably among the 'cool kids' of LA's retail scene. Whitney Bickers launched her store on Santa Monica Boulevard in 2011. 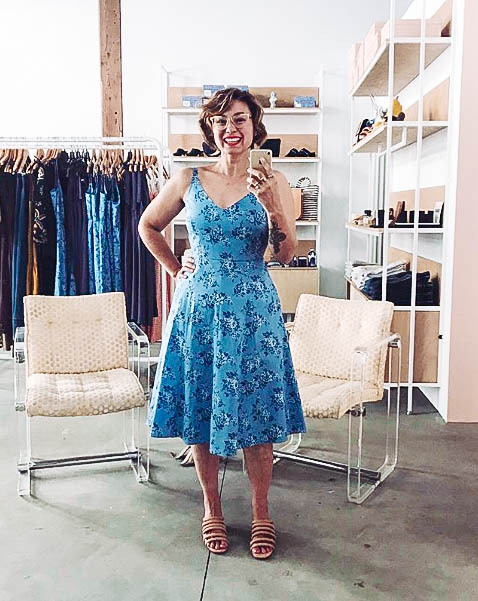 Since then, Myrtle has gained a cult following in the contemporary women's space by promoting women owned businesses like Rachel Antonoff, Carleen, and Samantha Pleet. "[In my first career] I really felt like I was in a boys' club environment and I think this store is the backlash to that. I always loved clothes and wanted to support female designers directly," says Whitney of the store's focus on designs by women. Recently, Myrtle relocated from their neighborhood haunt to The Row, a necessary move many independent boutique owners are now familiar with. But Myrtle is settling into their new home swimmingly, interacting with a new customer base as well as their long term fans. "It's really fun that I'm introducing these small brands to a bigger audience at The Row. In our old location we truly were a neighborhood store and now I'm buying for a broader customer." As Myrtle adapts to their new home, we can't wait to see what comes next for Whitney and the team! "One afternoon, I went into one of my favorite Venice shops, and I learned that they were closing. I was so distraught I asked the person behind the counter if I could take it over, and she told me I could. 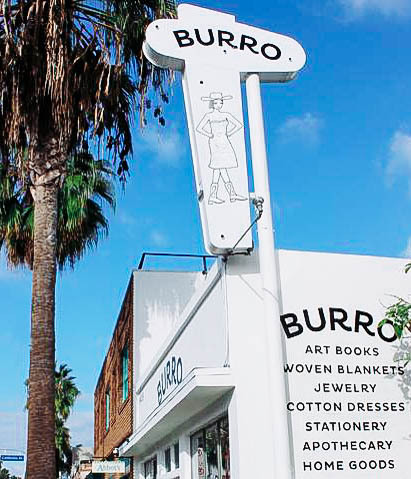 That was that," she says of Burro's origin on Abbot Kinney. Now, as a veteran tenant she's learning to adapt once again to a new situation. The street is constantly growing and becoming more of a tourist destination than a hangout for locals, but this change also offers new opportunities. "It used to be that you would see your friends strolling about and everyone sort of knew everyone on the street. This isn't how it is anymore, but I still think at the heart of Venice, it draws creative people." As far as who Burro caters too, that much is left unchanged. "It has always been my philosophy to have a broad range of prices and make it so that there is truly something for everyone. Everyone needs a fortune fish, right?" We agree. Be sure to stop into both Myrtle and Burro and follow them on Instagram here and here!